Now the child is reaching out beyond their immediate world to the farthest reaches of the universe. Their imagination and drive for discovery can take them anywhere, and the lower elementary classroom is designed to assist the child in this journey. The story of the birth of the universe and our planet is enriched by experiments explaining difficult concepts. The history of the earth and the development of plants and animals come alive through the Timeline of Life. The beautiful natural environment surrounding the school provides opportunities to explore and appreciate the world outside the classroom walls. 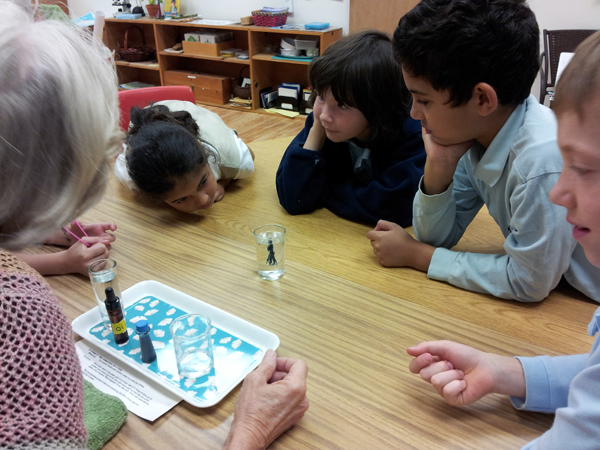 Activities and lessons within the classroom enhance and explain the world of nature. 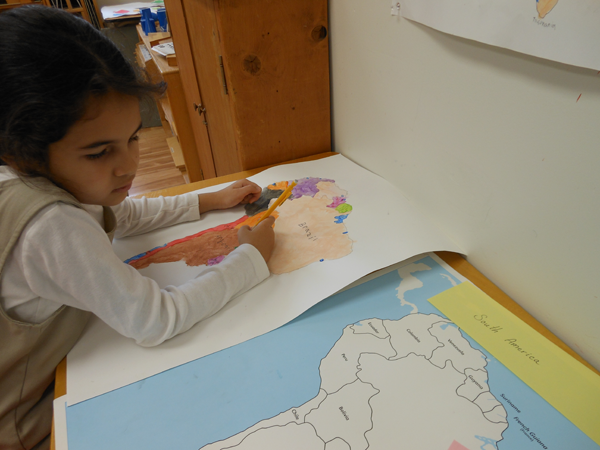 The work done in the Montessori preschool is the foundation for the elementary years. Learning through manipulative materials is still vital to the elementary-age child and the beautiful hands-on Montessori materials continue to be used in every area of the curriculum. Now the child uses the materials to help them come independently to abstract understandings of language and mathematical concepts. They continue to choose and explore their own individual interests, but in the lower elementary classroom they may do so with the companionship of other children in group projects and shared activities. Learning to make sense of the world includes responding to each individual’s responsibility for the planet, including our immediate environment and the global community. Peace education, community service projects, international guest speakers, and field trips designed to enhance awareness are all part of the curriculum. Physical education builds self-confidence and strong bodies. The academic curriculum is integrated with art and music projects, as well as lessons to learn specific skills, all of which help the child learn to appreciate the beauty and creativity of the world outside and within ourselves.